Directions: Using the digits 1 through 9, at most one time each, create a system of equations that has as many solutions as possible. How would three lines that have one solution look on a graph? How would three lines that have two solutions look on a graph? How would three lines that have three solutions look on a graph? How would three lines that have more than 3 solutions look on a graph? To have an infinite number of solutions, they would have to be three identical lines. 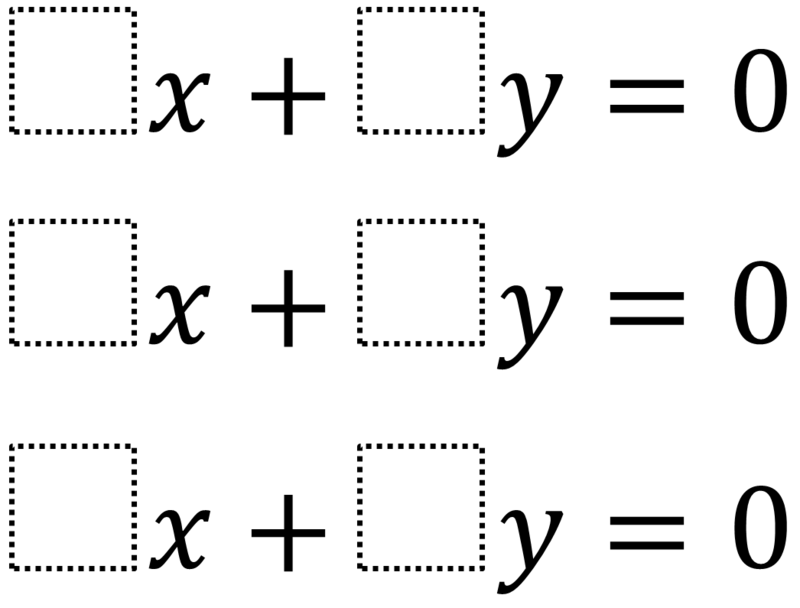 So, one possible answer is 4x + 8y = 0, 3x + 6y = 0, and 1x + 2y = 0 which gives three identical lines.